In the today's meeting with the Prime Minister of Finland Juha Sipilä, the Prime Minister Krišjānis Kariņš discussed the bilateral relations and economic cooperation of both countries, as well as topicalities, security and climate change issues of the European Union (EU). At the press conference held after the meeting, K. Kariņš emphasized, that both countries agree - free and open market is the cornerstone of EU growth. “During the discussion, we both came to an agreement, that we have a lot of common interests. We are confident, that free and open market is the cornerstone of EU growth. We have to put together our efforts to assure our colleagues, that there is no place for protectionism in the future of Europe, and we have to retain open markets. It is the best and virtually the only way for relatively small national economies to grow,” emphasized K. Kariņš. During the meeting, Prime Ministers also discussed the process of EU multiannual budget. 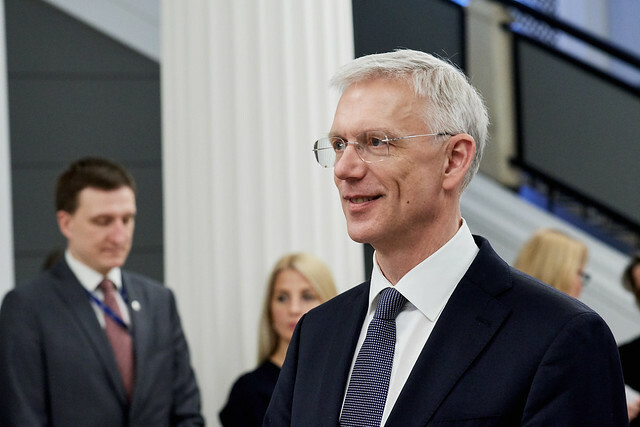 K. Kariņš expressed a hope, that EU Member States will manage to agree on the multiannual budget during the presidency of Finland. “I reminded to the Prime Minister of Finland, that from the point of view of Latvia it is very important for the development of our country to continue the financing of common agricultural policy and cohesion policy. The key priority of Latvia is justice. We expect, that our farmers will at last receive just as much – or just as little – as farmers of other Member States,” emphasized K. Kariņš, adding, that he has reminded it also to the President of the European Commission Jean-Claude Juncker during the acquaintance visit in Brussels. Also the reduction of Cohesion funds proposed by the European Commission is not acceptable to Latvia. During the meeting, also the security situation in the region was discussed and both parties agreed, that the cooperation in the field of EU security and protection must replenish NATO activities. While discussing the issue of climate changes, both Prime Ministers held a common view, that not only reduction of CO2 emissions must be addressed, but also the issue on how to create new jobs and continue the economic growth within the framework of this policy. It can be achieved by ensuring, promoting and introducing new, modern technology in the national economy. The Prime Minister of Finland Juha Sipilä expressed his gratitude to the Prime Minister of Latvia for the welcoming reception and confirmed the good bilateral relations and economic cooperation. “We have a common opinion and common interests in foreign policy, as well as concerning stability of the Baltic Sea region. We think similarly, especially about how EU should develop and improve the single market. I hope, that in the future we will have successful cooperation in Rail Baltica project, which we joined two weeks ago. Quite soon Finland will undertake the presidency of EU. I am pleased for Latvia's support for our forthcoming presidency and the priorities set by Latvia,” said J. Sipilä.